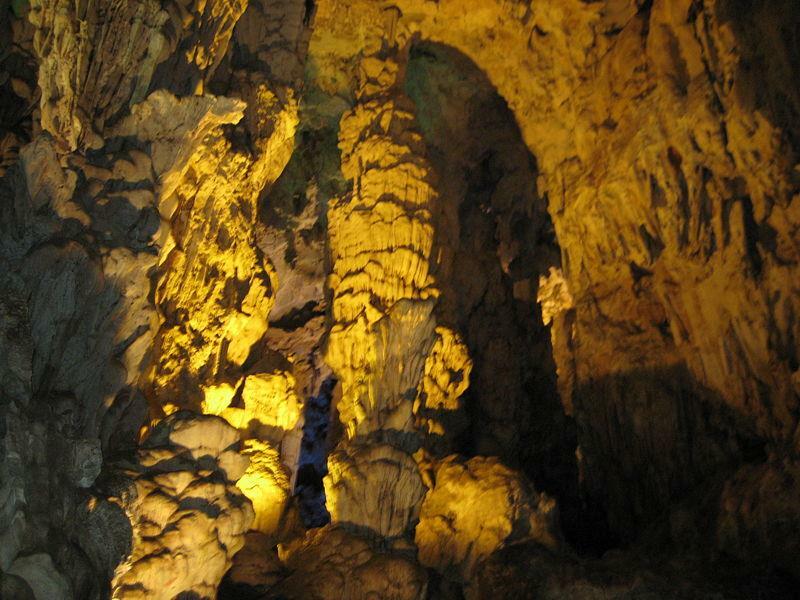 Van Trinh Cave, also known as Giang Tien Cave is situated in Mo Mountain, Van Trinh village, Thuong Hoa commune, Nho Quan district, Ninh Binh province. 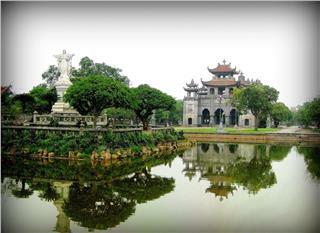 With an area of 3500 m2, it is the largest and most beautiful cave in Ninh Binh. Thanks to impressive stalagmites and stalactites, Van Trinh Cave is even also dubbed as a miniature Phong Nha - Ke Bang in Vietnam. 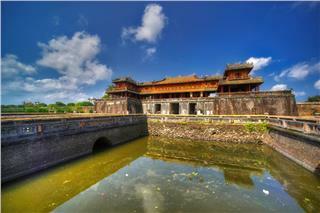 It still retains the romantic primitive beauty and deserves to be a magnificent attraction in Ninh Binh, attracting numerous both domestic and international tourists. 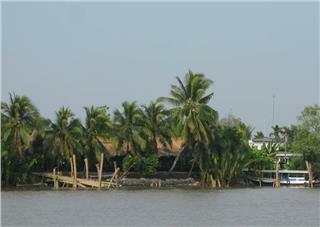 From Gian Khau junction on 1A National Highway turning to the west about 10km along No.477 provincial road, tourists will reach Hoang Long River. 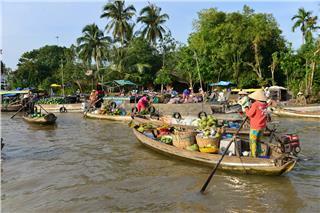 It will take about 30 minutes to get Van Trinh Cave from Hoang Long boat dock. 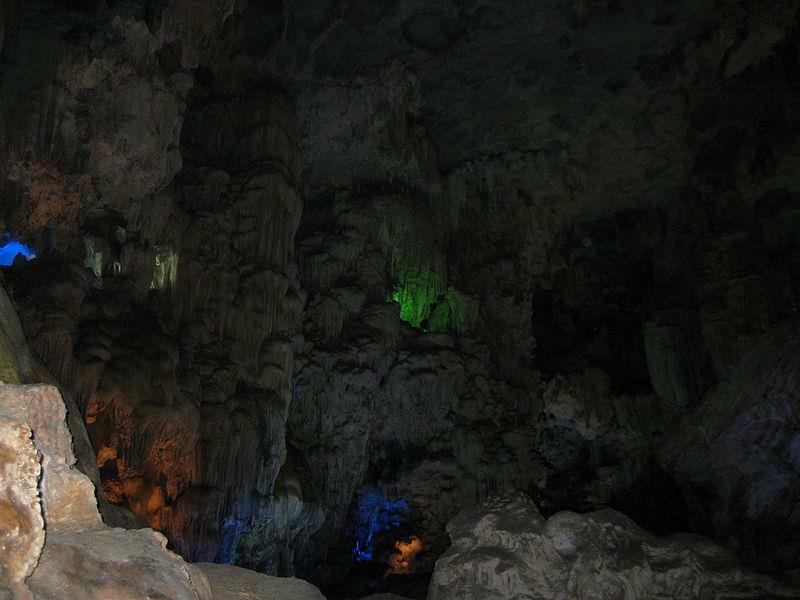 Van Trinh Cave is divided into two caves, namely Ha (Lower) Cave and Thuong (Upper) Cave which is located staggered each other and separated by sheets of stone in front. Here, tourists will have a chance to admire stalactites with eye-catching strange shapes together with twin stalagmite towers reaching up to the ceiling. Standing before these stalagmites, tourists find easy to associate with pillars against the sky in legend. 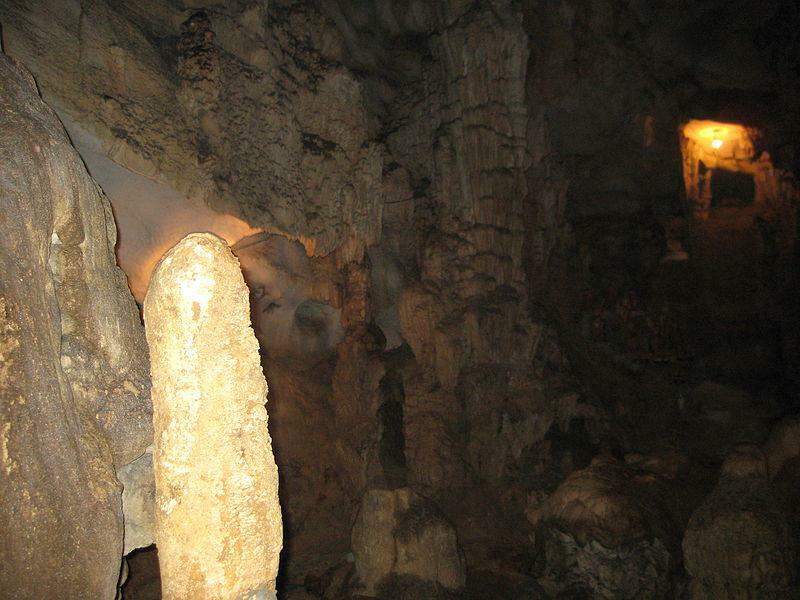 These stalactite pillars are not inferior to the masterpiece in Phong Nha - Ke Bang. 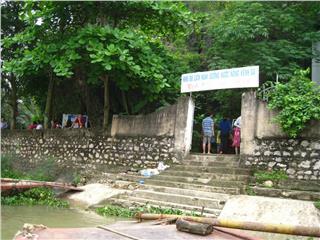 From the foothills, tourists have to walk up 80 stone steps to the entrance of the cave. 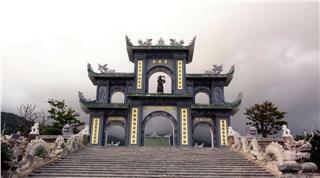 The entrance is only 1.5m high and over 1m wide. However, stepping into the cave, tourists are truly amazed at its spectacular beauty. The highest dome gets over 100 meters; meanwhile the floor retains numerous unique patterns. Deep into the cave is Rong (Dragon) well with the water flowing from the bottom up. 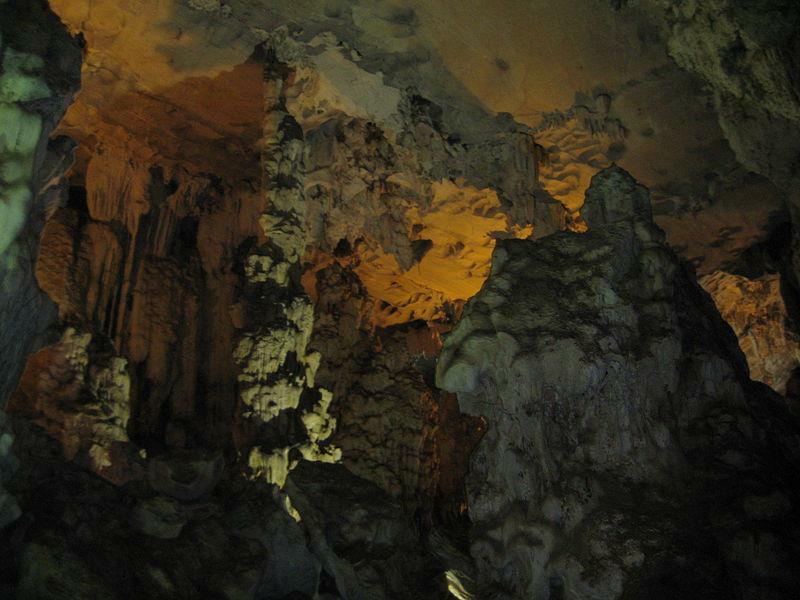 There are also many glittering stalactites with multi shapes and magnificent colors in the cave. The air is relatively cool and pleasant. Setting foot in the cave, tourists seem to be lost in a magical world full of color and immersed in the fantastic stalactites of the nature. 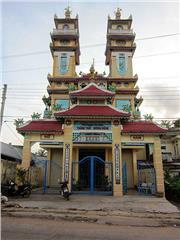 In the journey exploring Van Trinh Cave, tourists will first visit Ha Cave. There are also many breathtaking stalactites forming impressive shapes in this cave. The right corridor is stalactites stretching as the girl's hair. Stepping down 63 stairs, tourists just get the floor. 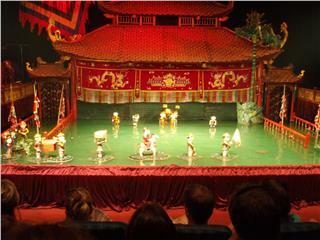 The floor suddenly opens a large space. Tourists feel like they are standing in an ancient huge and majestic castle. The cave is home to a wonderful stalactite in front to 7m high, 10m long, and 1m wide which separates the cave into two areas. The dome is towering with turquoise stalactites as gems. 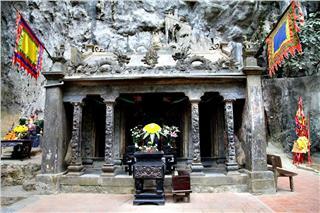 Surrounding the cave, the Creator seems to hang paintings, sculptures plates embossing characters in the fairy tale. 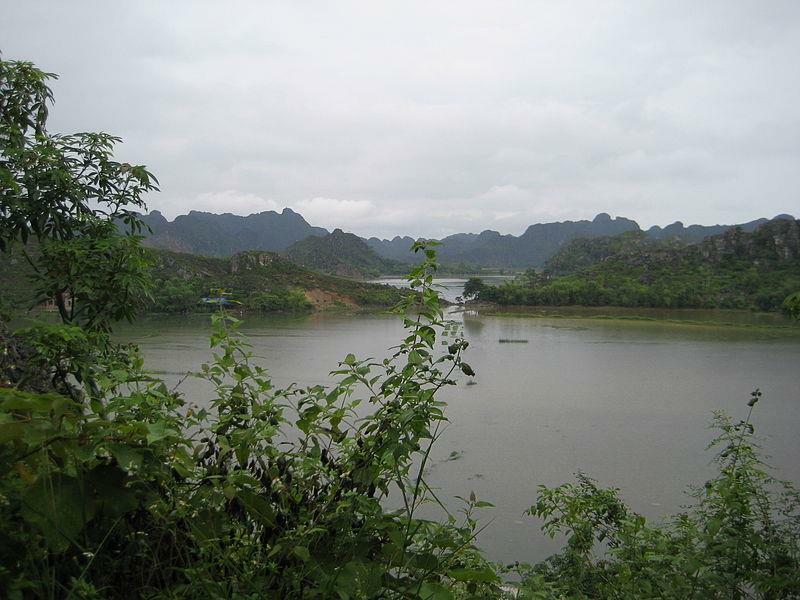 It is pure droplets that created such masterpieces, left strong impressions to tourists in minds when participating in Ninh Binh travel to the cave. 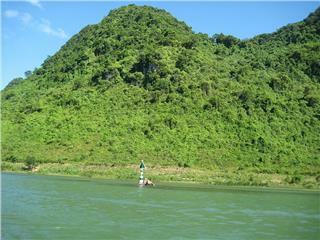 From the western corridor of Ha Cave, there is a path leading Thuong (Upper) Cave with 6m higher than Ha Cave. 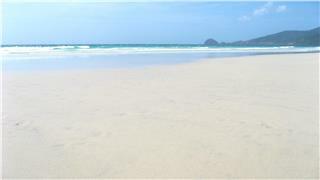 Its floor retains 150m2 large with the abundance of undulating stalagmites as real people in sitting or standing posture. It is thus called "flea market". There are also innumerable stalactites of various shapes such as lamp, candle, eagle, tiger, turtle, imperial maids or officials.... On the top of the cave is a hole towards the sky or "sky eyes"- which sounds like to be a convergence of ying and yang, of heaven and earth. 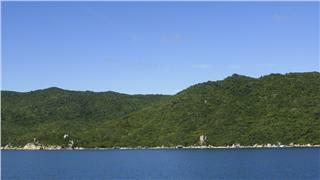 Deeply going into the cave, tourists increasingly lose in the realm of fairy Penglai and comfortably admire the masterpiece of the nature. 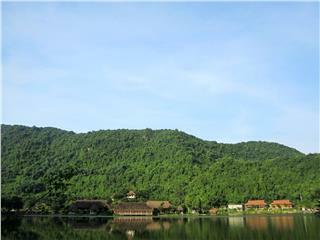 As one of the places still preserved primitive and charming beauty, Van Trinh Cave increasingly attracts tourists to visit and contemplate. 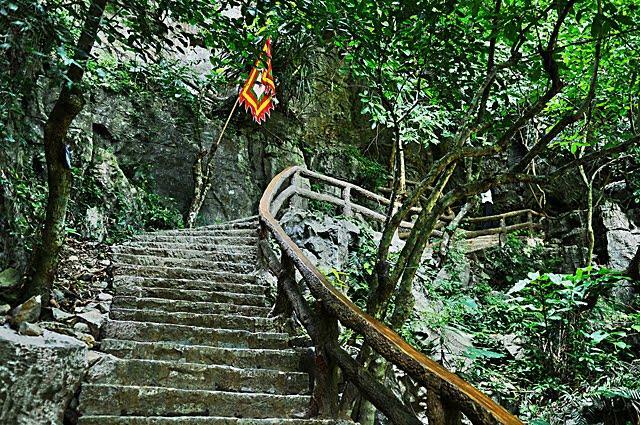 Setting foot in Van Trinh Cave, tourists will be completely immersed in the tranquility of nature, away from the hustle and bustle of the urban life. 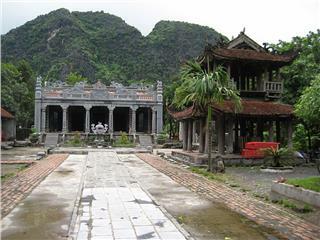 Van Trinh Cave is worthy a must-see attraction in Ninh Binh tourism for those who would like to explore the pure beauty here; simultaneously, it contributes to promote tourism in Ninh Binh to international friends.